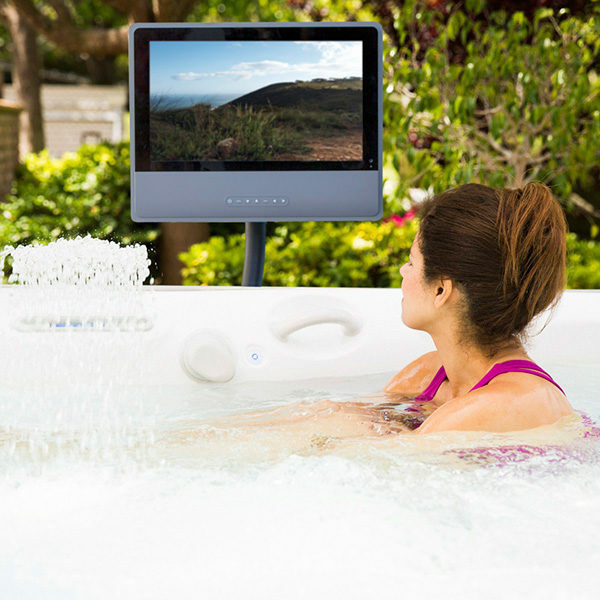 Enjoy live TV and streaming video in your spa with this optional high-definition monitor. The 1080p resolution and anti-glare screen give you a great picture. It includes a stand for easy installation and it’s built to withstand the weather. A vinyl cover is available for extra protection.